Order your Lamy Special Edition Safari Shiny Black Fountain Pen With Italic Nib today from FahrneysPens.com. Fine Pens, Refills & Luxurious Gifts – great prices & fast shipping. 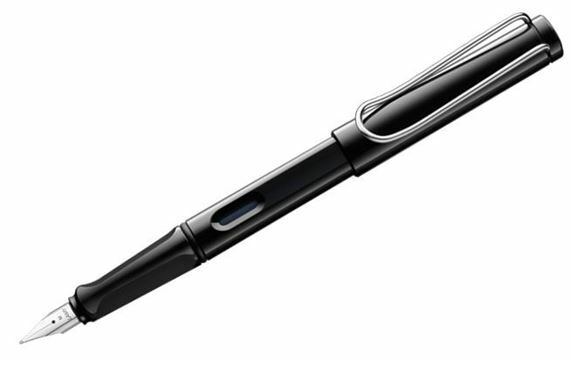 Lamy fitted the Special Edition Safari Shiny Black Fountain Pen with an Italic Nib perfect for the art of calligraphy. Crafted with an industrial design in sturdy ABS plastic, the Safari is rugged, sporty and definitely daring! Lamy released the special edition shiny black fountain pen for those aficionados with a flair for the audacious and unique. Crafted out of rugged ABS plastic and the characteristic contoured grip, the Safari is so easy to hold that you'll write many pages in complete comfort. The flexible clip is made of spring brass wire and easily attaches to your purse, pocket or agenda. The Safari fountain pen is a fantastic buy and comes with a special medium italic nib. This special edition Safari uses cartridges or converter fills and is shipped with ink cartridges. The converter is sold separately. Write for hours in complete comfort! This is my first order from Fahrney's internet site, I usually prefer shopping at their F Street store. 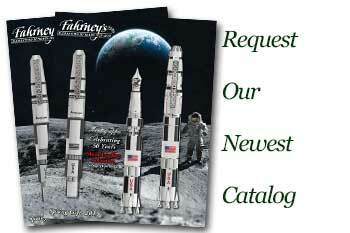 I have been a customer of Fahrneys since the late 1970s. However, my internet experience was excellent. I received my order in just a couple of days. I really love it! Purchased my first one a number of years ago in black and have since purchased an orange one and a pink one. I enjoy the alternate refillable ink cartridge as well.